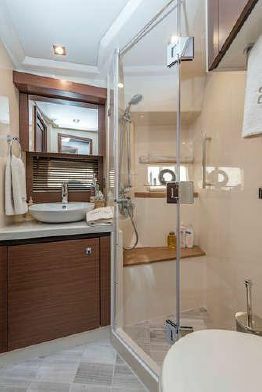 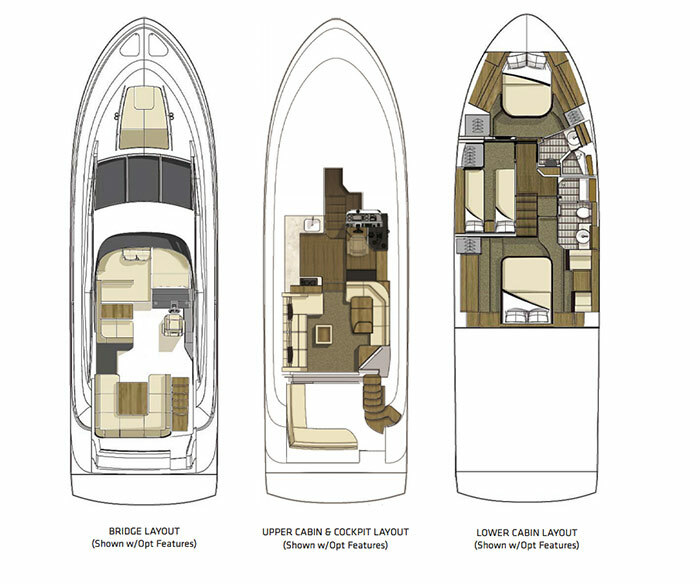 He has a three-stateroom layout with upper and lower helm stations. 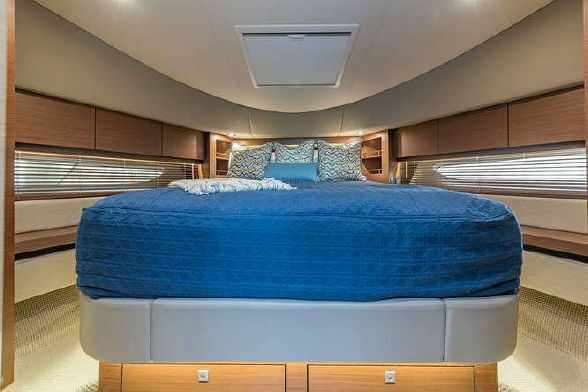 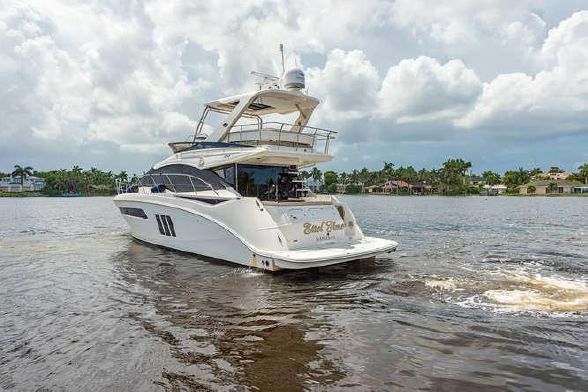 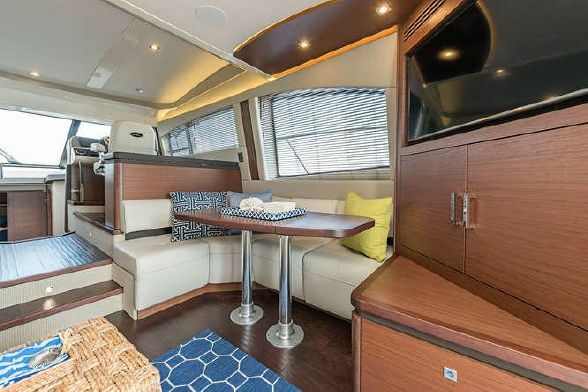 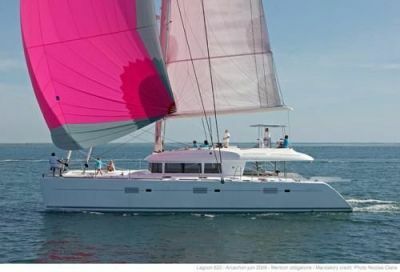 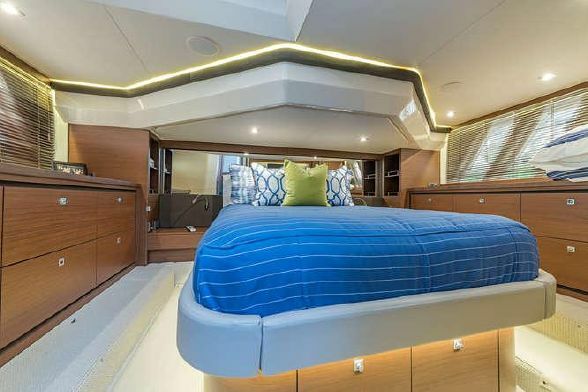 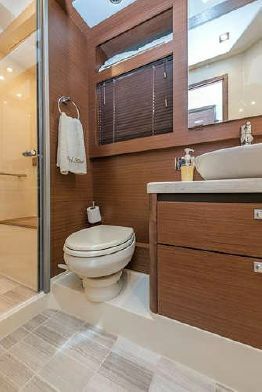 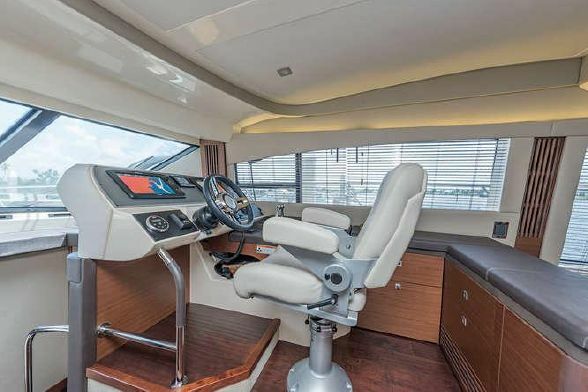 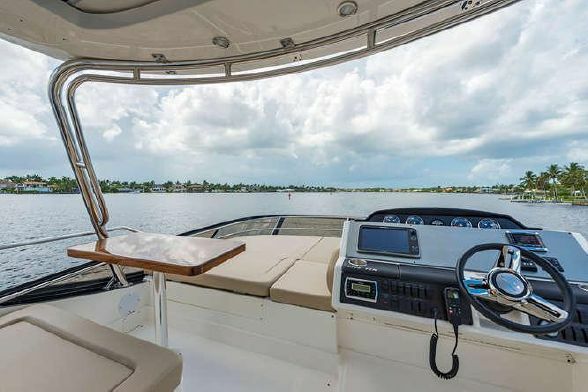 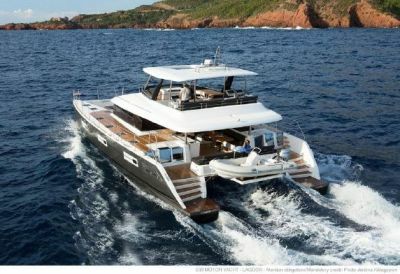 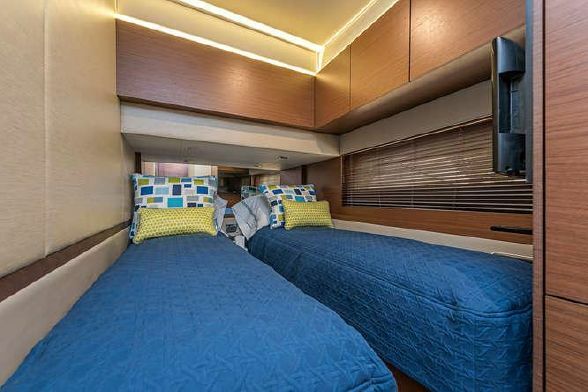 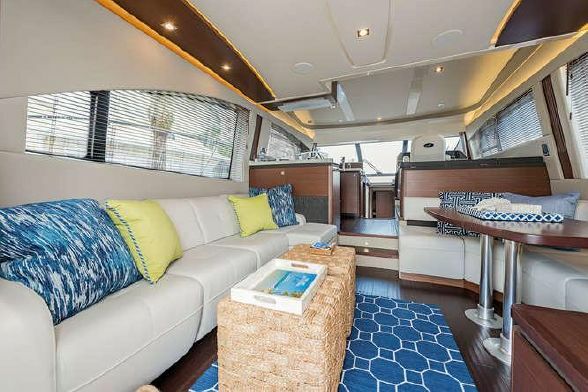 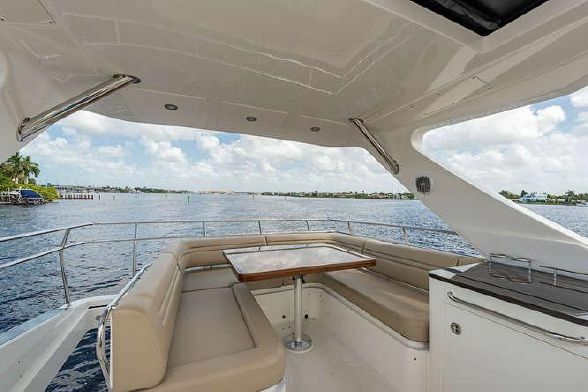 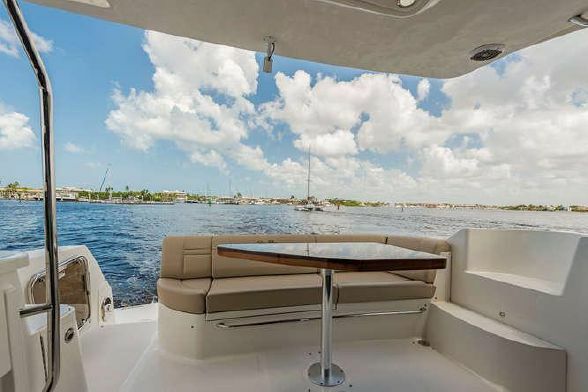 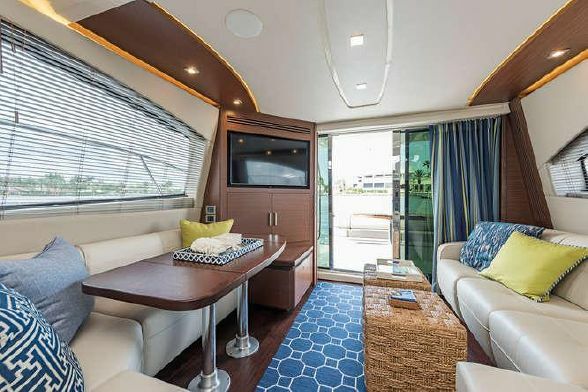 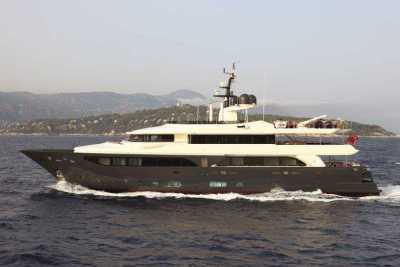 Some highlights include: Water Maker, Upgraded HD Sat TV, Hydraulic Marine Lift Swim Platform System, Lighting, Underwater – Transom (4), Refrigerator/Freezer Upgrade Galley, Lower Helm – Raymarine E125W – Aux Display, Macerator w/Seacock Interlock System, White Hull Gel Coat, and much more. 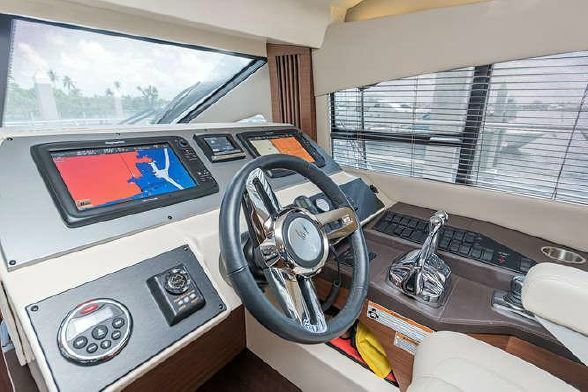 This vessel is gorgeous and nearly brand new! 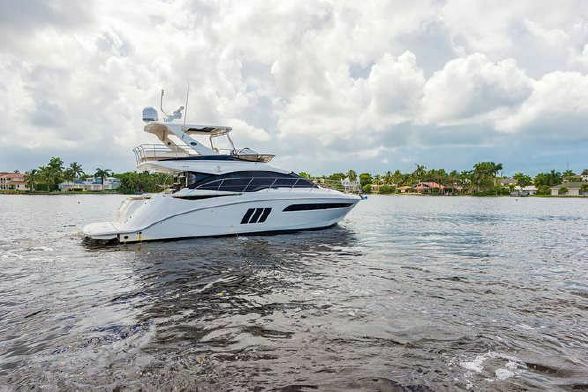 This 510 Fly is a design marvel, its powerful twin Zeus engines deliver a whole new level of performance, fuel efficiency and vessel control, meaning that rough water is no issue. 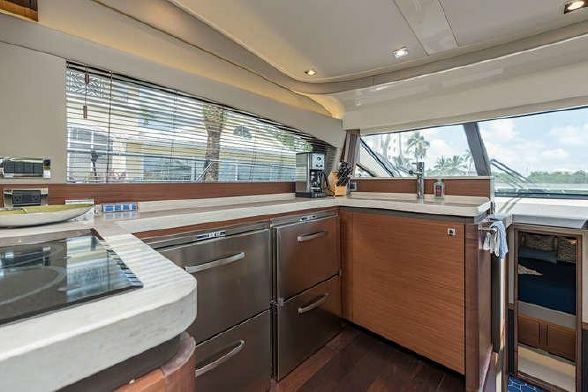 Also the open, spacious salon with a sliding door leading to the cockpit.